uSwitch latest stats reveal top phones in the UK for January! When it comes to mobile sales it's always interesting. You see the headline first weekend sales figures and that is normally a good indication of the popularity of devices, but that tends to focus on the high-end devices or flagship phones. So what's really selling in the UK at the moment? Well we think you'll be surprised to see some of the phones on this list! 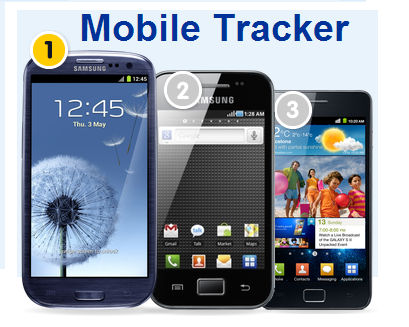 According to uSwitch's Mobile Tracker Samsung's Galaxy S3, the eternal Galaxy Ace and the Galaxy S2 were the three most popular phones in the month! The Galaxy Ace was probably helped by the new lease of life it has found on £7.50 per month contracts! There were four Nokia's in the list too, as well as the iPhone's of the 4S and 5 varieties and there was LG's Nexus 4 in there for good measure! The way uSwitch works this out is from their 'deal popularity and sales... [and] Statistics are derived from uSwitch.com, plus our network of mobile phone comparison partners [sic]'. So this should be a relatively broad representation of how popular devices are proving to be! Samsung Galaxy S3 Blue 16GB. "The mobile market is no stranger to a bit of January belt-tightening, with tech fans looking for sensible deals following a seasonal gadget binge... A swathe of bargain smartphones like the C2-01 have leapt back into the chart as a residual effect of gifting and January sales, whilst canny consumers also wait to see high-end devices around the corner." What do you predict February's chart will end up like? Will the Nexus 4 push on and will Samsung's Galaxy S3 get dethroned as the successor draws ever closer? uSwitch and MobileNews Via Eurodroid.